Google Chrome is a very popular Internet browser, but some times it runs into problems that make it unstable. In such cases, the only solution is to completely remove and re-install Chrome from scratch. 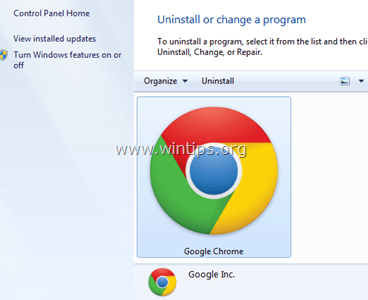 This tutorial will show you how to remove Google Chrome completely from your computer and to re-install your favorite browser again. Google Chrome doesn’t open at all. Google Chrome runs into crashes or slow performance. Google Chrome displays a “Your preferences could not be read” error message at startup. Ads constantly appearing on Google Chrome after adware infection. Important: Keep in mind that if you follow this procedure, then you lose all your personal profile information stored on Google Chrome, including Bookmarks, Passwords, Settings, etc. Follow this procedure at your own responsibility if any of the other solutions didn’t have any effect. Delete your current Chrome profile, and see if this helps to resolve Chrome’s problems. Instructions on how to remove the stored Chrome profile can be found in this article. Step 1: Uninstall Google Chrome from your computer. 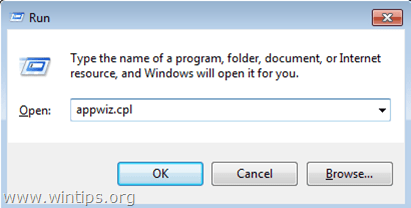 Type “appwiz.cpl” and press Enter. 2. 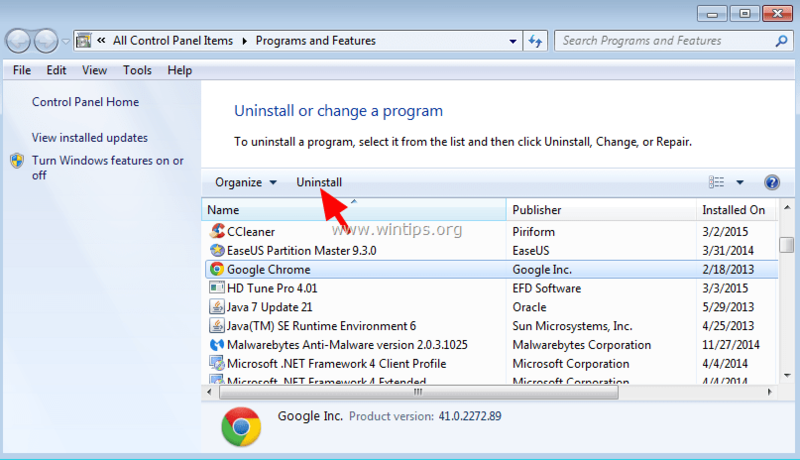 In the program list, select the Google Chrome and click Uninstall. Step 2: Enable the Hidden Files View. Start > Control Panel > Folder Options. Step 3: Delete “Chrome” folders from your computer. Navigate to the following locations and delete the “Chrome” folder(s) that exist there. 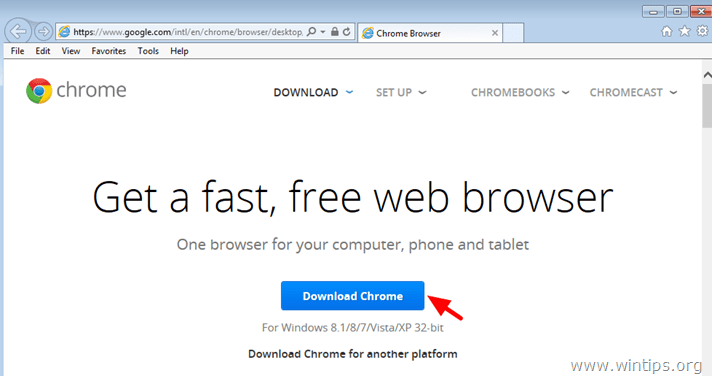 How to re-install Google Chrome. Method 1. Using Chrome Download Center. 2. 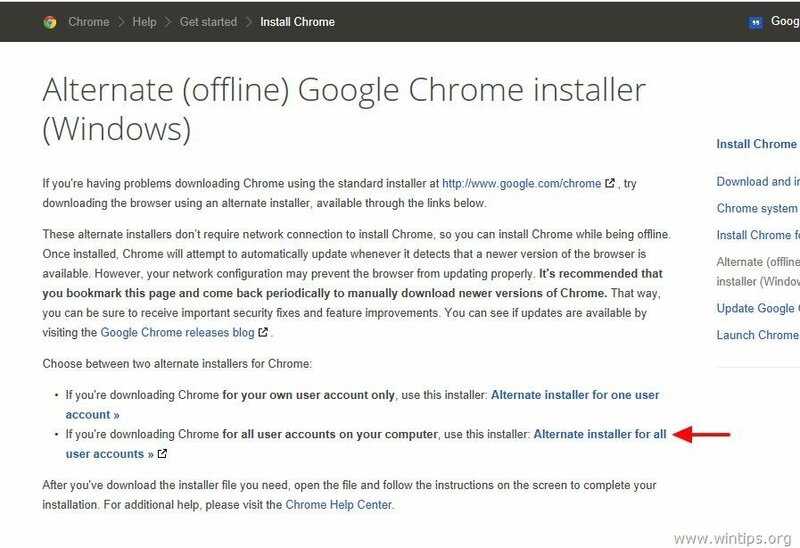 Click Download Chrome and then follow the on screen instructions to finish the installation. Method 2. Install a fresh copy of Google Chrome for all user accounts on your computer. 1. From any other browser that works (e.g. Internet Explorer, Mozilla Firefox, etc.) 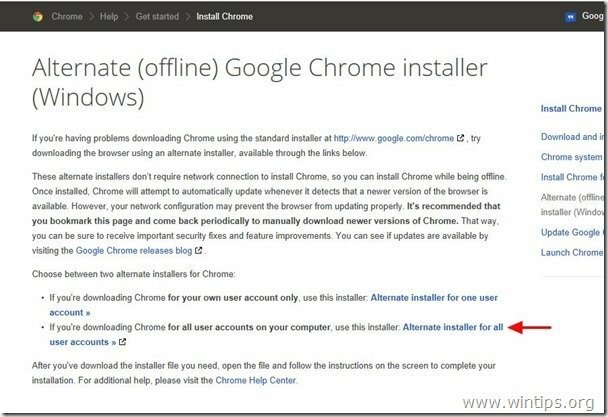 , download and run the Alternate (offline) Google Chrome installer for all user accounts. 2. When the installation is completed, run Google Chrome.